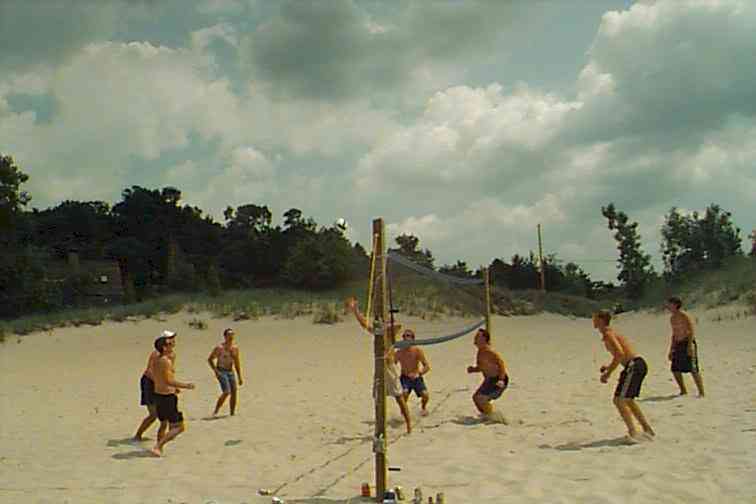 Beach: Dune Acres has two miles of sandy beach shoreline on Lake Michigan. There are designated locations that provide places to park at beach access sites for Town residents whose vehicles display a Dune Acres vehicle parking sticker and their guests whose vehicles display a guest pass. Vehicles not displaying a parking sticker or guest pass may be towed at the owner's expense. Glass, fireworks, or fires not in an approved container are prohibited from the beach. Town Parties: The Dune Acres Social Committee sets up a calendar of social events for Town residents and their guests. It’s a great way to meet your neighbors, and all of the parties are fun. Notices of the parties are sent to all residents. The Dune Acres Social Committee assigns each resident to help plan and set up one of the parties. Dune Acres Clubhouse: The Dune Acres Clubhouse, located on one of the highest points in Town, was built of logs and originally opened in 1926. An adjacent Guesthouse was opened at the same time; however, only its foundation remains today. Many of the Dune Acres town parties, as well as private weddings and parties, are held in the Clubhouse. 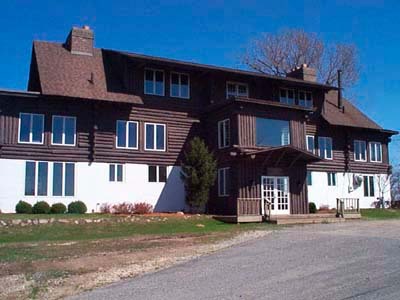 Only residents of Dune Acres may rent the use of the Clubhouse for private events and parties. The Beachcomber. The Town's newspaper, The Beachcomber, is archived on-line in full color for viewing and printing (Adobe PDF format*). Parkland: Dune Acres has more than 270 acres of town parkland. This is an exceptionally high figure when compared to nationally accepted park standards. Most Town parks remain in their natural duneland, wooded, or wetland state; however, some land is devoted to tennis courts, basketball backboards, soccer/football field, children's playground, outdoor ice skating rink and hiking trails. Hiking Trails: Long or short; easy, moderate or hard. Hiking trails are nearby. Dune Acres has a number of trails within the Town, including the Cowles Bog trail. You may also hike one of the nearby trails in the Indiana Dunes State Park or the Indiana Dunes National Lakeshore. Some of these trails are also groomed for cross-country skiing in the winter, and others may be used for snowshoeing. A horseback-riding trail is a short distance from Dune Acres in the Indiana Dunes National Lakeshore. All of the trails provide an excellent opportunity to see some of the exotic flora and fauna that are unique to our area. You might even get a glimpse of the rare Karner blue butterfly, or an owl, an eagle, or another bird. 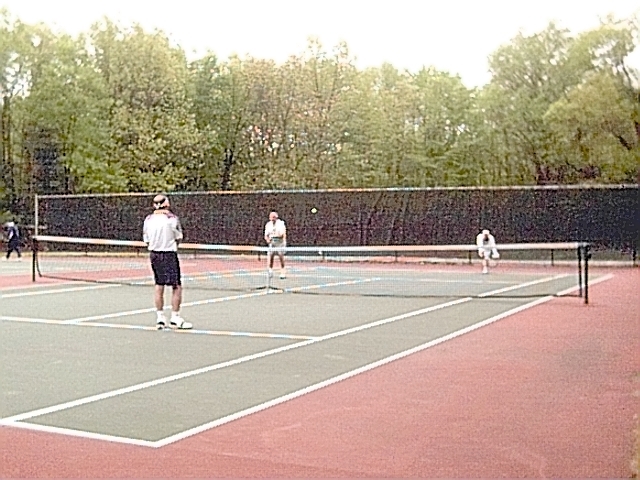 Tennis Courts: Four outdoor tennis courts are available for use by residents. There are lights if you want to play at night. Pick a partner and come out, or come alone and you will find a neighbor very willing to invite you to play. Basketball: Three basketball backboards await your pick-up game. Soccer Field: A large field with soccer goals is available for soccer or football enthusiasts. Children’s Playground: Our playground includes swings, slides, merry-go-round and jungle-gym equipment for children of all ages. 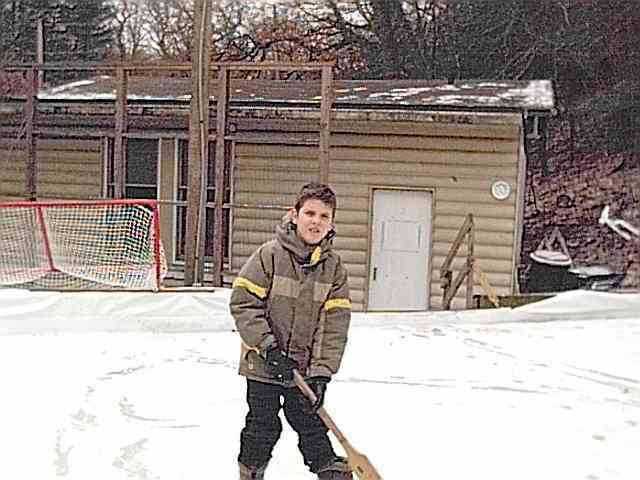 Outdoor Ice Skating Rink: The outdoor ice skating and hockey rink is a favorite winter attraction among the young and young at heart. Lighting makes it available at night. And there is even a “warming house” to take a rest from the cold or change into or out of your skates. Biking Trails. A number of biking trails are located near Dune Acres, including the Calumet Trail from Dune Acres to Mount Baldy near Michigan City. Elderberry Group: For our "senior" citizens to socialize and discuss items of common interest. Notices of meetings are announced to all subscribers to the e-mail notification list. Additional Information: Click here for additional information, including schools, libraries, shopping, utilities, airports, voting, access to records under the Freedom of Information Act and State of Indiana information, and other information.